FAQ: Do I have the correct locks for my insurance? 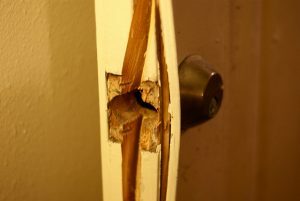 Q: Do I have the correct locks for my insurance? A: Contact Goldi-Locksmith – Locksmith Ringwood on 0800 3118065 or info@goldi-locksmith.co.uk for a free security survey to assess your property, Goldi-Locksmith Ltd work with insurers and will carry all the necessary equipment to make sure you are safe and comply to your insurer. Make sure your windows are properly shut if leaving the property. Try if possible to keep people out of secluded and private areas, by securing side gates. Large hedges, bins, walls are good areas for criminals to hide. Install security lighting and/or CCTV in areas that will hide people.